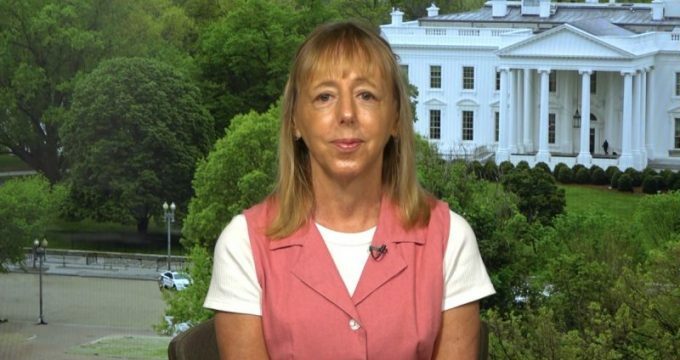 IRNA – The US peace activist Medea Benjamin who recently protested Washington’s warmongering policies against Iran in a message sympathized with victims of the deadly attack in southwestern Iran. ‘What a horrific day for the people of #Iran in #Ahvaz, who suffered a terrorist attack that killed 26 people and wounded over 50. @CODEPINK, our hearts go out to the Iranians for this terrible loss,’ Benjamin tweeted on Sunday. Benjamin, 66, is the co-founder of Code Pink Institute: Women for Peace, an internationally active NGO that describes itself as a ‘grassroots peace and social justice movement working to end US-funded wars and occupations, to challenge militarism globally and to redirect our resources into health care, education, green jobs and other life-affirming activities’. Earlier after head of US think tank Brian Hook finished the first part of his speech at the Hudson Institute discussing the need to stop what he claimed to be the Iranian nuclear proliferation, Benjamin shouted that they are making a case for a war with Iran. How did the war with Iraq turn out? You’re doing exactly the same thing as we did in the case of Iraq. Hook is the US Special Envoy to Iran and also an advisor to Secretary of State Mike Pompeo. ‘No more war. Peace with Iran,’ Benjamin earlier said as she suddenly stepped on the stage after Hook’s speech.